Many people might consider maintaining a healthy lifestyle during pregnancy beneficial only for the body of mothers. However, it has been proved through research and through numerous studies that have been carried out, a good diet efficiently works in the development of the fetus’ body. Must check your due date with the help of a pregnancy calculator when pregnancy is confirmed. 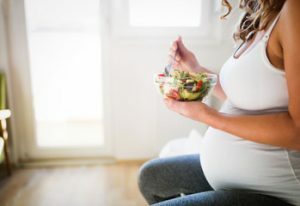 Yes, there is no denial to the fact that the chances of risks and complications are greatly reduced for a woman who prefers taking the time out for exercise and also eating everything advised by the doctors during each trimester. But along with this, the baby born is fully healthy and has his body properly developed with all the needed nutrients that were needed by him. 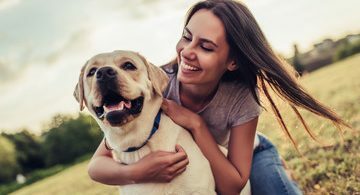 As the importance of a healthy lifestyle has been mentioned above another very big benefit is that you stay mentally and physically happy during the period. A healthy lifestyle during pregnancy means not gaining excessive weight which might not be very hard to lose. It also means that you consume healthy foods during your pregnancy. 1. Eating clean and just right. Many women tend to struggle with fitting into their old clothes after pregnancy. This problem occurs when they don’t eat right during pregnancy. 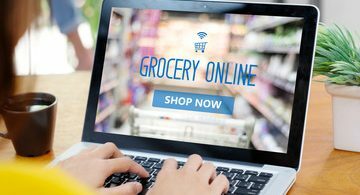 Yes, you do not have to starve yourself, you do have to get the proper meals during these nine months, but this does not mean you have to consider eating double and unhealthy. The goal must be understood. Your baby requires all the nutrients in the right proportion not only a high amount of fat. You must also see the proper instructions about things to avoid and things to eat during each trimester. For example, during a certain trimester, egg intake is recommended to be from minimum to none. Moreover, your body will stay toned if you eat not only the right foods but also in the right proportion. Expecting mother’s should also learn how to maintain a good oral hygiene during pregnancy. It’s also very imperative. A hydrated body is the healthiest body, and especially during this sensitive time of your life, your body does require the proper water consumption. At least eight glasses or even more should be drunk by an expecting woman. Moreover, your skin will remain fresh along with your body active if you have a good water intake. Dehydration can impose threats of miscarriage. 3. Don’t become lazy and be sure to exercise. Moreover, exercises not only avoid the gain of excessive weight but the exercise also helps in lowering the ‘’labor’’ time or the time of delivery. 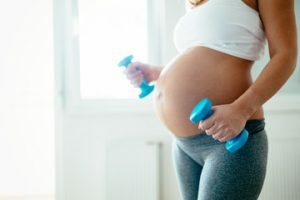 Many types of research have concluded that a person who exercises during pregnancy and stays active doing appropriate exercises tends to have a lesser delivery time along with less pain during labor. And this is not just it. Pregnancy accompanies many kinds of pain such as back pains and joint pains, but unfortunately, they are a part of pregnancy and can not be avoided. But yes, we can reduce the intensity of pain and relieve them through different exercises. Usually, the exercises considered safe are, yoga, strength training with not too heavy weights, exercises which do not involve the risk of falling, etc. Proteins make your diet complete. They help build muscle up, and it is recommended to maintain muscle during the gestation period. Muscle maintenance will keep your body right in shape. Proteins make you feel fuller which will help avoid any kind of extra cravings which might make you much upon unhealthy snacks or sugar-rich foods. Proteins, therefore, must not be skipped no matter what. The functions of a protein-rich diet are numerous, they also benefit the baby. Last but most importantly, a healthy pregnancy is the one where you are mentally healthy, happy and positive. It is a huge change in an individual’s life and usually a very happy one. But the anxiety and mood swings along with increasing nausea might make you feel stressed and overburdened. Be sure to get proper sleep and rest with all your activities. Too much exertion with little sleep can be dangerous too. Moreover, stress can have a very negative effect on the body of the developing fetus. Pregnancy calls for a lot of planning and organizing. However, usually the mothers-to-be and especially the ones that experience this for the first time, tend to feel like things getting out of their hands to end up with so much stress especially when you might have to visit the doctor in an emergency at any time during the nine months. Many mothers prefer knowing the expected due date before time so they can get things ready to avoid any kind of hustle at the last moment. Moreover, ladies also prefer knowing the duration of each trimester especially for their pregnancy so they can follow the do’s and don’ts of each trimester and also follow the diet accordingly. 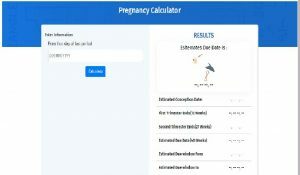 This calculator helps to calculate the measured conception and due date along with when one trimester ends and the other starts. Below is the basic interface of this calculator. The calculator is very simple to use. It only requires the information of when you got your last period date, the day, month and year. With also this information, it fills in all the boxes present on the right side, which include the estimated conception date, first trimester which lasts for 12 weeks, the second trimester which lasts for 27 weeks and estimated due date. All this information can help you calculate your desired results with ease and with efficiency. The calculator is very simple and easy to use. It ensures 100% efficiency and accuracy along with speed. Moreover, the calculator is free to use and can be found at calculators.tech.